Rooms from $131.13 per night. Description This Duluth, Georgia hotel has an indoor pool and free internet access. 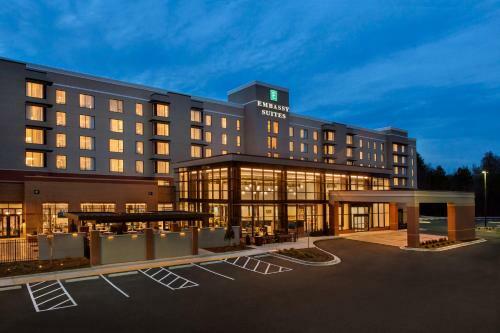 Freebies include breakfast parking and Wi-Fi at the non-smoking Embassy Suites by Hilton Atlanta NE Gwinnett Sugarloaf which is right off the interstate. 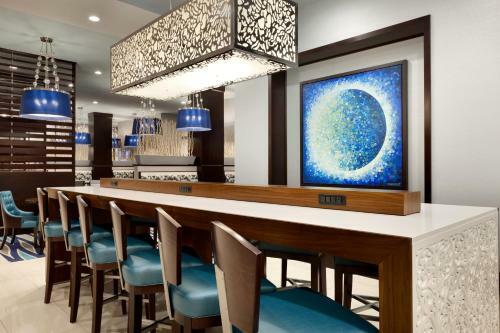 Floor-to-ceiling windows flood the vast lobby with natural light at the non-smoking Embassy Suites. 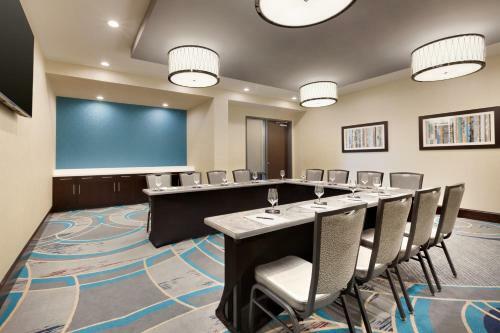 All 166 rooms have a contemporary feel and feature free Wi-Fi 49-inch HDTVs separate living areas microwaves mini-fridges and coffeemakers. Each morning begins with the free hot breakfast and the on-site restaurant continues serving meals throughout the day. 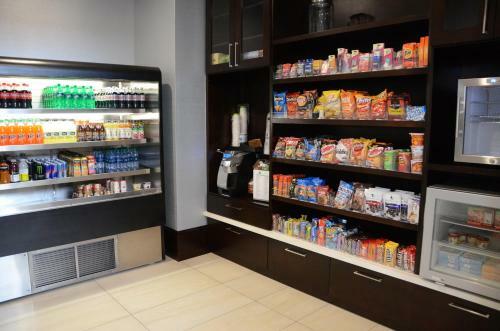 Guests with work to do hit the fitness room or business center before exploring the area. 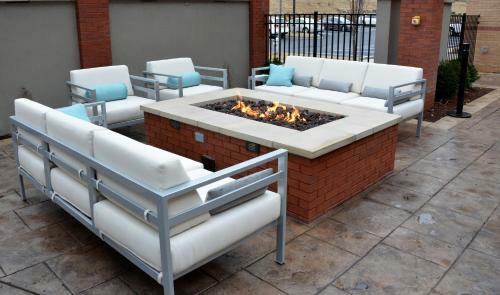 During warm months you'll find seating areas and fire pits on the outdoor patio. 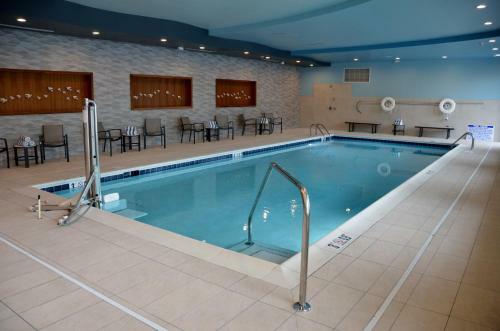 The indoor pool entertains guests of all ages. 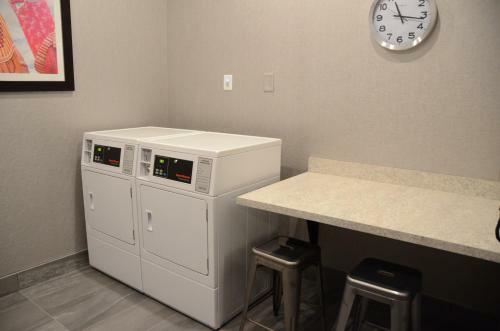 Laundry facilities free parking and a convenience shop round out the amenities list. 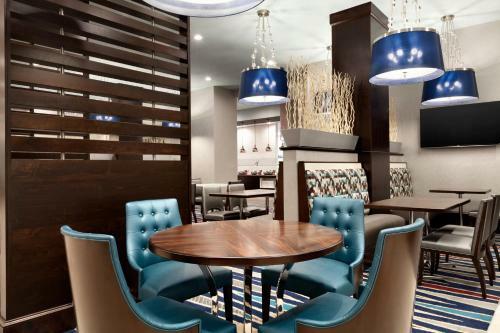 The Embassy Suites sits just off I-85 about five miles from downtown Duluth's charming shops and cafes. 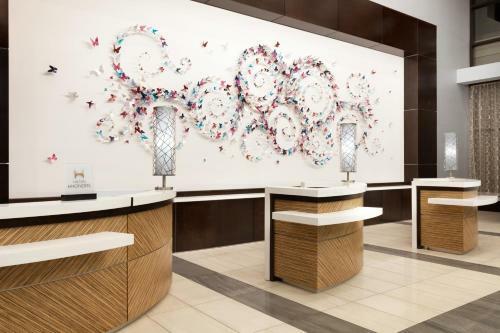 Guests can walk to a few restaurants the Infinite Energy Center and the Hudgens Center for the Arts within 10 minutes. Sugarloaf Mills is a mall packed with shops and eateries only a mile away. Downtown Atlanta is a half-hour southwest and keeps guests busy with its Georgia Aquarium Center for Civil and Human Rights and Atlanta Botanical Garden. Hartsfield-Jackson Atlanta International Airport is a 37-mile drive. 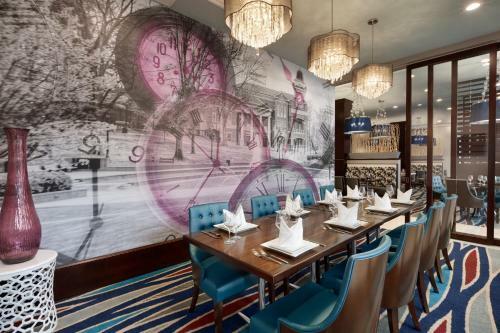 Add Embassy Suites By Hilton Atlanta Ne Gwinnett Sugarloaf to your free online travel itinerary.